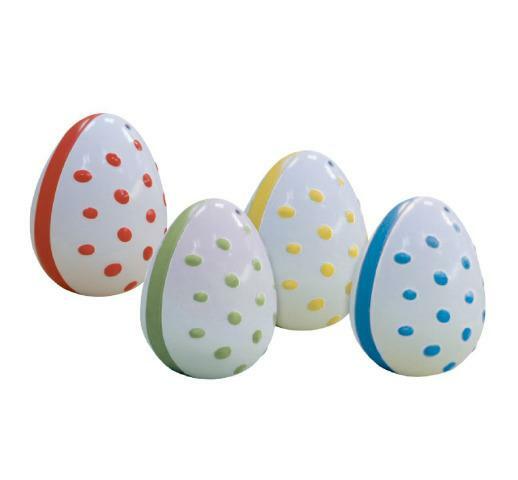 Shake it up with these Musical Eggs! 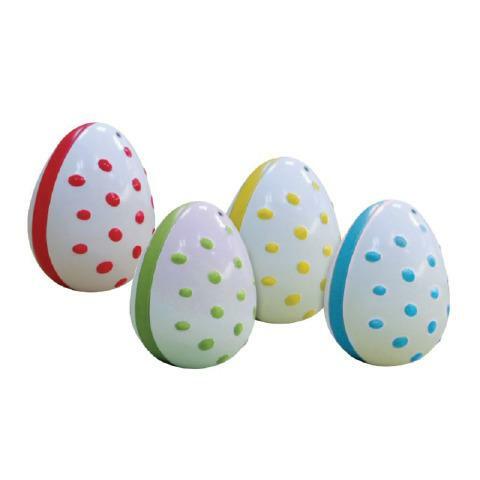 These easy grip egg shakers are easy to hold and sound great! Kids will love the tactile feel of this unique design. Great for ages 6 months and up. Assorted colors. Dimensions: L: 2.5" x 2.25" Dia.